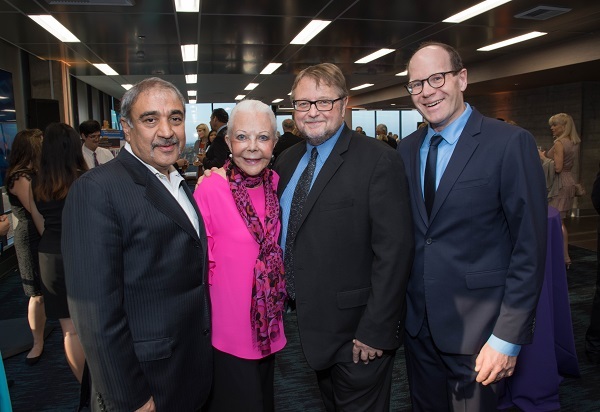 Left to right: Chancellor Khosla; Dinner Honorary Committee Chair Jeanne Jones; author and dinner speaker Luis Alberto Urrea ('77); and the Audrey Geisel University Librarian Erik Mitchell. 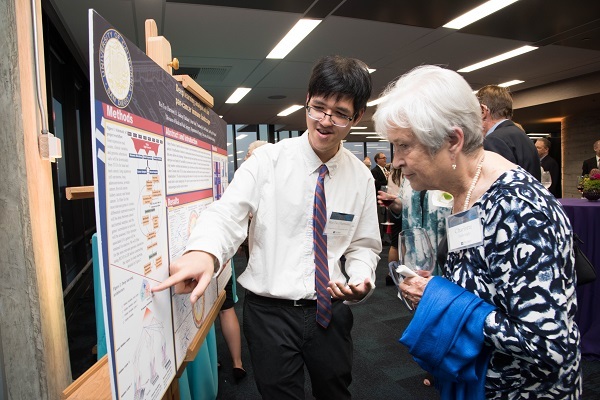 Friends and supporters of the UC San Diego Library enjoyed a special dinner at Geisel Library on Sept. 21. 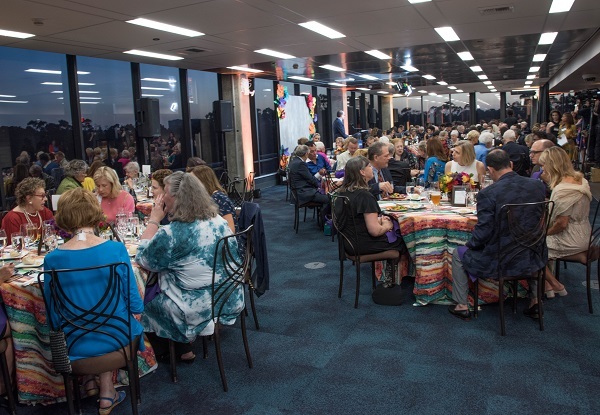 The annual Dinner in the Library fundraiser featured delectable food, a silent auction, and keynote speaker Luis Alberto Urrea, Master Storyteller, Award-Winning Author and Alumnus – Class of ’77. During the event, Chancellor Khosla thanked all of our Library supporters for their generosity and for supporting the Geisel Library Revitalization Initiative—a project that is helping transform the interior on several floors. Chancellor Khosla noted that these renovations are important to enhancing the student experience and student learning. The Chancellor also announced that the university will match gifts raised up to $1 million dollars. 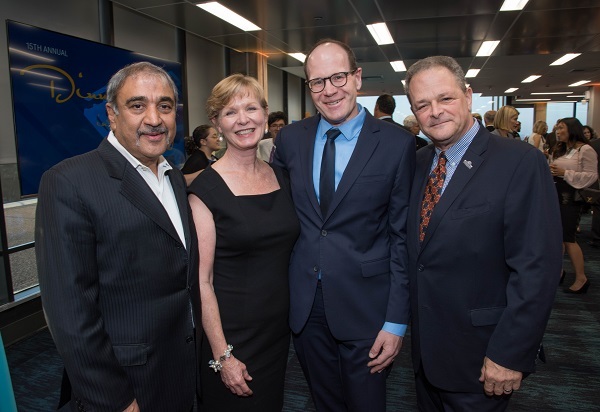 Left to right: Chancellor Khosla; former Interim University Librarian Tammy Dearie; the current Audrey Geisel University Librarian Erik Mitchell; and former University Librarian Brian Schottlaender. 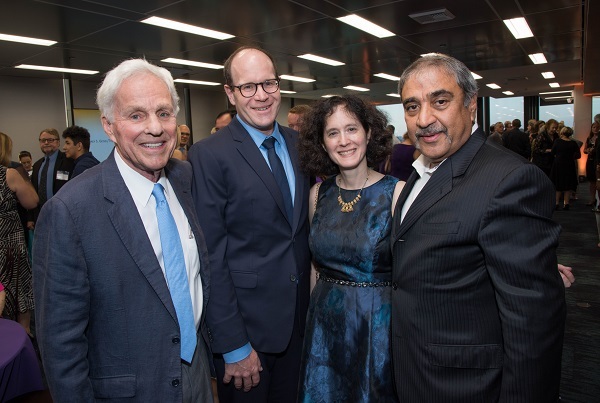 Left to right: Former UC San Diego Chancellor Richard C. Atkinson; the Audrey Geisel University Librarian Erik Mitchell; Executive Vice Chancellor Elizabeth Simmons; and Chancellor Khosla. Left to right: Undergraduate Library Research Prize winner Wei Tse (Harrison) Li with guest Charlotte Halicioglu. 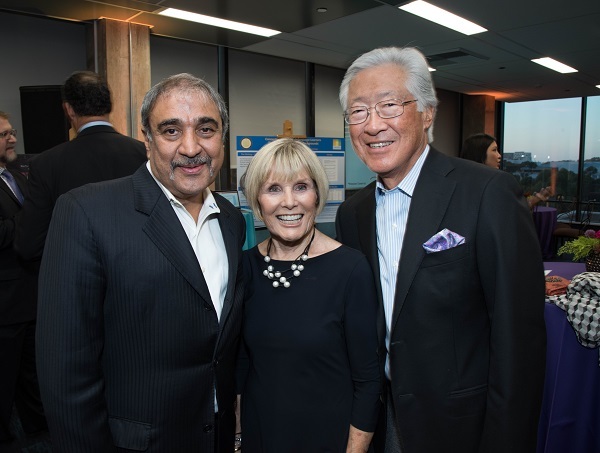 Left to right: Chancellor Khosla; UC San Diego Foundation Board Chair Carol Chang; and Jeffrey Chang, M.D.